The recent industry expos were a huge success for Hop Industries! At SGIA Expo, attendees received samples of backlit signage and POP displays printed live by EFI and swissQprint. 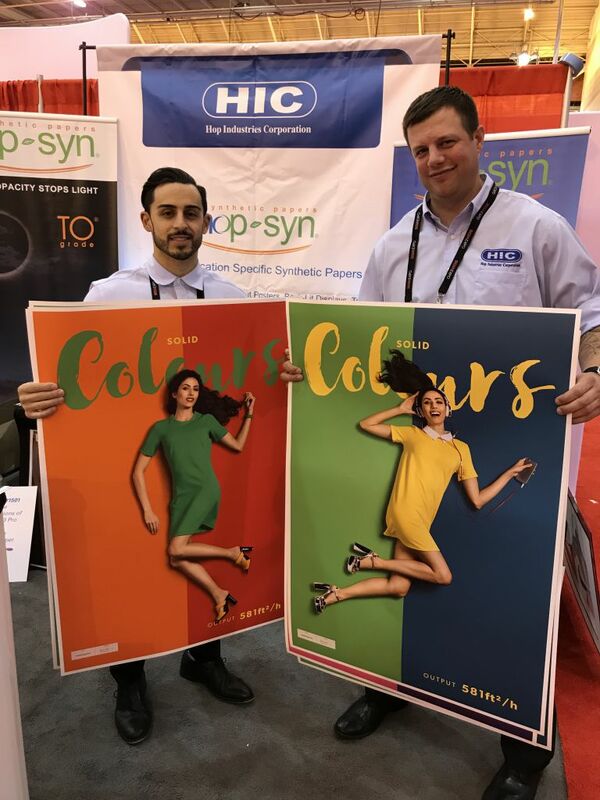 Also at PRINT 17, attendees spoke with Hop‑Syn experts and received free samples of the durable and 100% recyclable substrate. Watch live demonstrations and executive interviews posted on Hop’s YouTube channel. Free samples of Hop-Syn are available upon request. Speak with a Hop‑Syn expert at 800‑524‑0757 or visit us online.